When will be Nicky Jam: El Ganador next episode air date? Is Nicky Jam: El Ganador renewed or cancelled? Where to countdown Nicky Jam: El Ganador air dates? Is Nicky Jam: El Ganador worth watching? 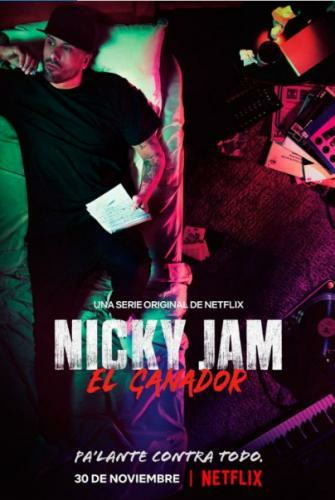 Nicky Jam: El Ganador is Nicky Jam's official and authorized true story, from his humble origins in Boston, his turbulent life in the streets full of violence and vices, to his rise to become the King of Reggaeton, one of the most popular musical genres in the world. El Ganador is a story about overcoming obstacles, the pursuit of success and about having to start from zero with everything against you, again and again. It's about losing everything and recovering it by doing what you love, until fulfilling your dreams. In Puerto Rico in 2000, rising stars Nicky Jam and Daddy Yankee are offered an exciting opportunity just as their friend Tito's actions endanger them. As they try to figure out why Cuti is after them, Los Cangris fly to New York to escape him. Aleysha reveals shocking news. Nicky's drug use escalates. Cuti threatens Nicky's friends and family as Los Cangris prepare for Coyote's concert. Nicky recounts his mother's struggles during his childhood. Yankee helps bail Nicky out of trouble. While on tour, Nicky visits Aleysha in Florida, then stops in Massachusetts to seek out his mother. 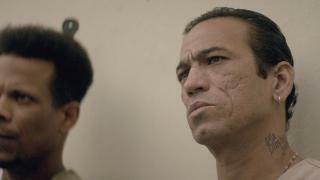 Nicky heads to prison, where his addiction brings him violent trouble, and a visitor surprises him. Isabel's debts create serious issues for José. As a musical rivalry with Daddy Yankee develops, Nicky grows jealous of his success. José moves his family to his brother's home in San Juan. As Nicky's opioid addiction worsens and impacts his career, his new girlfriend becomes hooked as well. José's criminal past catches up with him. After traveling to Colombia to perform, Nicky regains his confidence and meets a new woman. In 1994, teenage Nicky is discovered at a supermarket. Nicky moves to Medellín, writes music and pursues a relationship, but keeps partying hard. An eager Juan Diego tries to prove he's a hard worker. While helping his son go cold turkey, José realizes how severe Nicky's drug addiction is. Temptation haunts the singer as he returns to work sober. Juan Diego uses his savvy business acumen and bluffing tactics to revive Nicky's floundering music career. Meanwhile, the singer worries about his mom. While on tour, Nicky reconnects with his mom in the Dominican Republic. She joins him in Medellín to get sober and urges him to rethink his love life. Nicky visits Lawrence after his childhood friend suffers a tragedy. The singer enjoys international success but is nervous to return to Puerto Rico. Nicky Jam: El Ganador next episode air date provides TVMaze for you. EpisoDate.com is your TV show guide to Countdown Nicky Jam: El Ganador Episode Air Dates and to stay in touch with Nicky Jam: El Ganador next episode Air Date and your others favorite TV Shows. Add the shows you like to a "Watchlist" and let the site take it from there.